I do all of these covers, in part, for the fun of it but my real reason is to expose other amateur entertainers like me to as many different kinds of great music as I can. By doing this I hope to encourage folks to learn more songs and try out different styles of music as well. The more musicians that there are out there the more folks I have to sit down and play tunes with. That's why you'll find so many genres of music in my library. There is Country Music, Bluegrass, Folk, Gospel, Old Thyme Instrumentals and Ballad Rock. I hope that you will peruse my library and find something that will get you so excited that you'll just have to try it for yourself. For the most part, I'm into serious songs, but every body needs a break from that now and then. So, once in a while, I learn a humorous song to get a chuckle from the crowd. I found this tune while looking up a Folk Group called 'The New Lost City Ramblers' on YouTube. 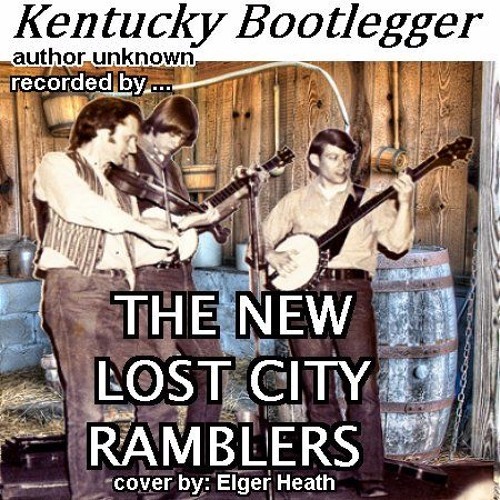 I laughed my brASS off when I heard them do a tune called 'Kentucky Bootlegger' and I finally got around to trying to record. Well... I ain't THE LOST CITY RAMBLERS but I had a fun time doing this recording. Hope you enjoy the tune. Why not check out The Lost City Ramblers when you get a chance.